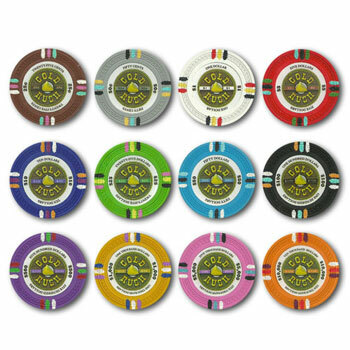 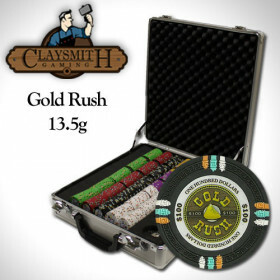 This set of high quality Gold Rush poker chips makes a great addition to any home casino setup. 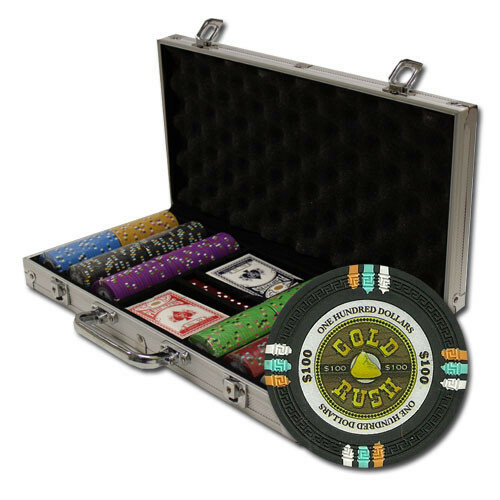 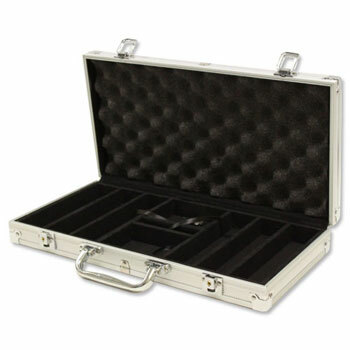 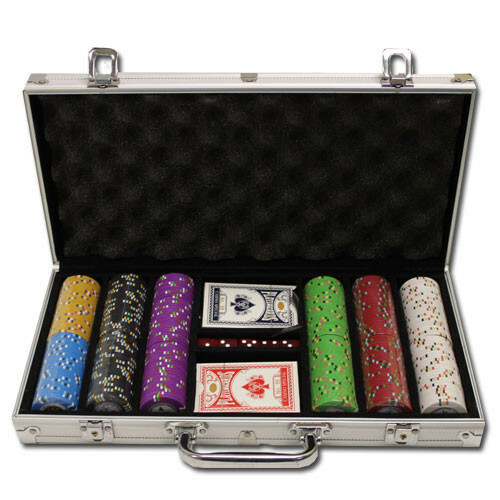 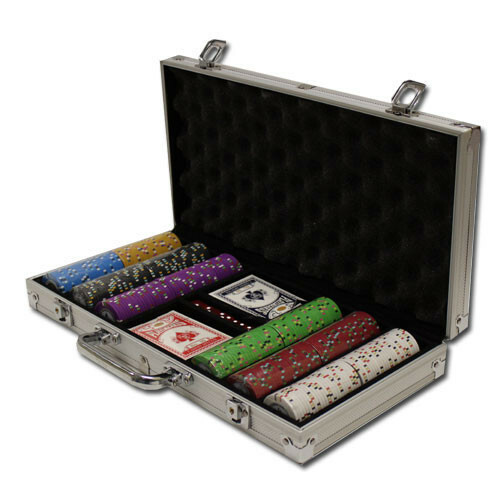 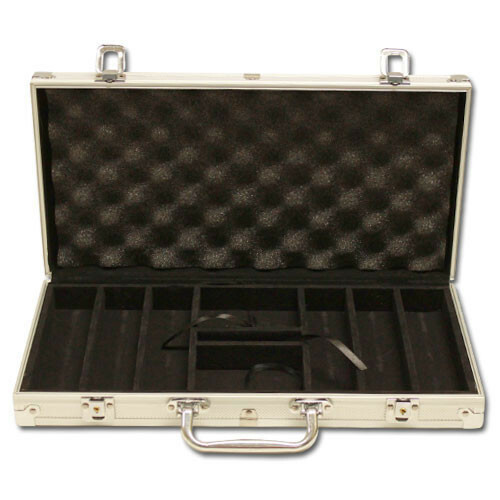 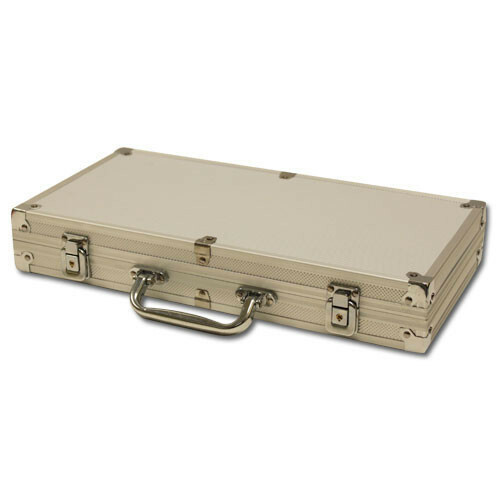 You get 300 high quality clay composite poker chips in and aluminum storage case, and we'll throw in 2 decks of cards, 5 dice and a free dealer button to get the action started. 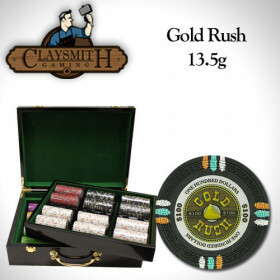 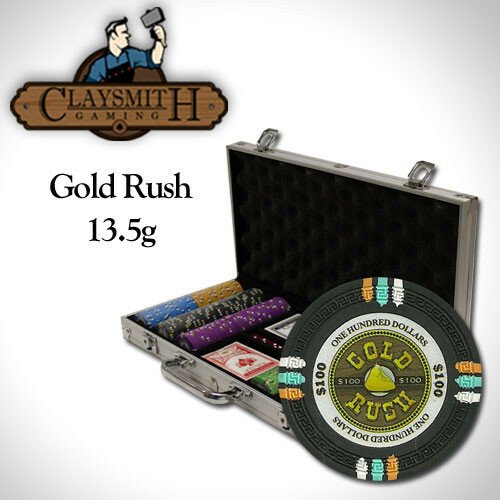 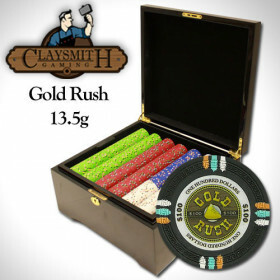 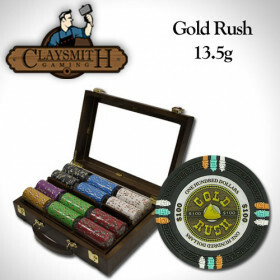 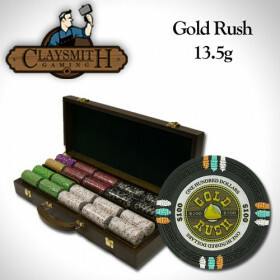 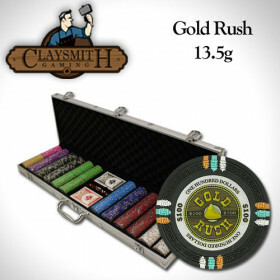 300 Claysmith Gold Rush clay composite poker chips, plus 2 decks of playing cards, 5 dice and a free dealer button.